S.F. Bay Area-based Hazerfan have been around since 1998 though this is their only album to date. The group gigs relentlessly, steadily building an audience for their fusion of eastern and western sounds. 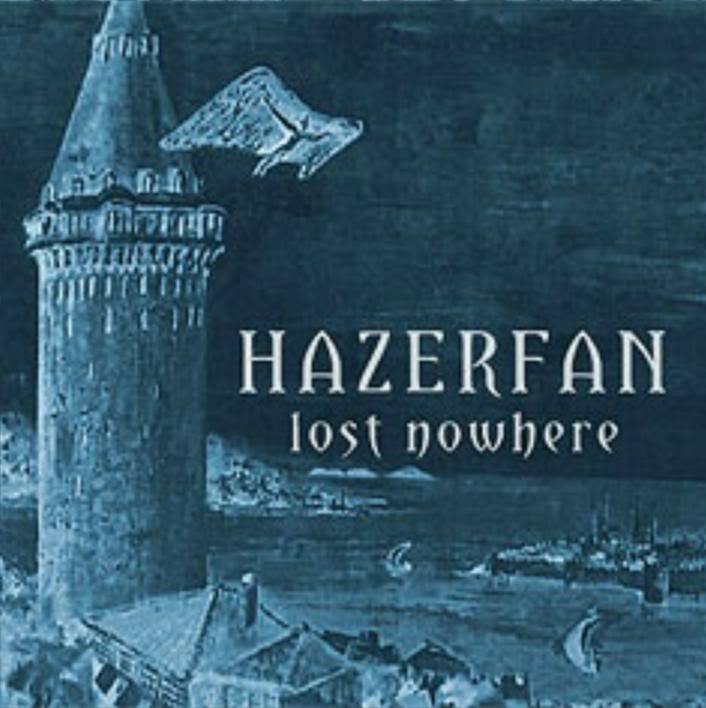 On the western side, Hazerfan are decidedly hard rock and metal with chugging, distorted guitars and a pounding rhythmic assault, even occasionally slipping into speed metal courtesy of guitarist Goktan Kural’s blistering lead playing. The eastern side derives from traditional Middle Eastern folk music modalities in the material, along with the use of hand percussion and violin that adds further ethnic spice to the arrangements. This side of Hazerfan’s stage act gets a huge boost courtesy of voluptuous singer Beth Hada’s belly dancing (occasionally with snakes!). I’ve never seen the band live, though based on photos from their web site I would guess that male audience members have a hard time taking their eyes off of her. It’s easy to imagine Hazerfan covering Led Zeppelin’s “Kashmir” (which they do), though they have a modern flair to their sound that also reminds me of Faith No More or even Red Hot Chili Peppers. Exposé readers will warm to songs like the instrumental “Evil Eye” or closer “Uzun Hava / Hyperspace” that reveal an affinity for the sort of eclectic blending of progressive and rock styles seen from Azigza. The band has undergone some lineup changes recently but they have talent and a solid musical foundation to build on. I look forward to hearing where they go next.